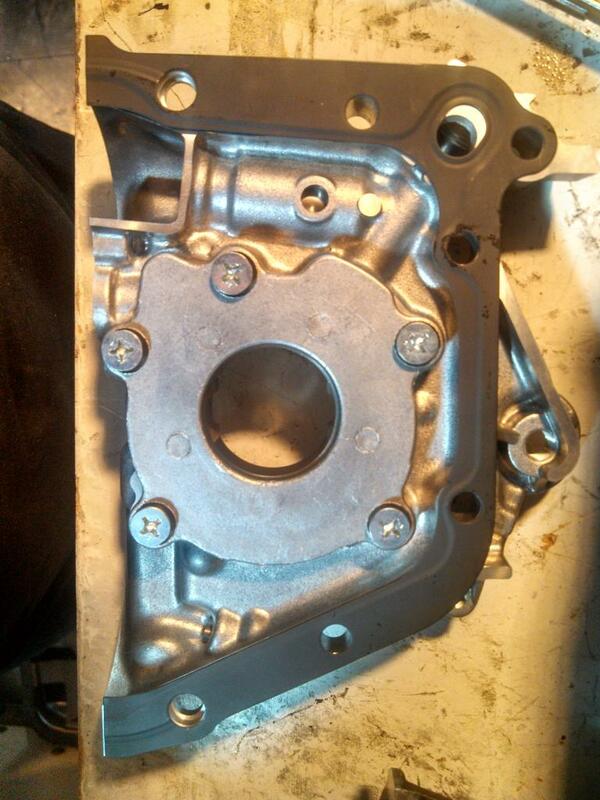 We have recently discovered that there are differences in the oil pump port location between the 4A block and the 7A block. 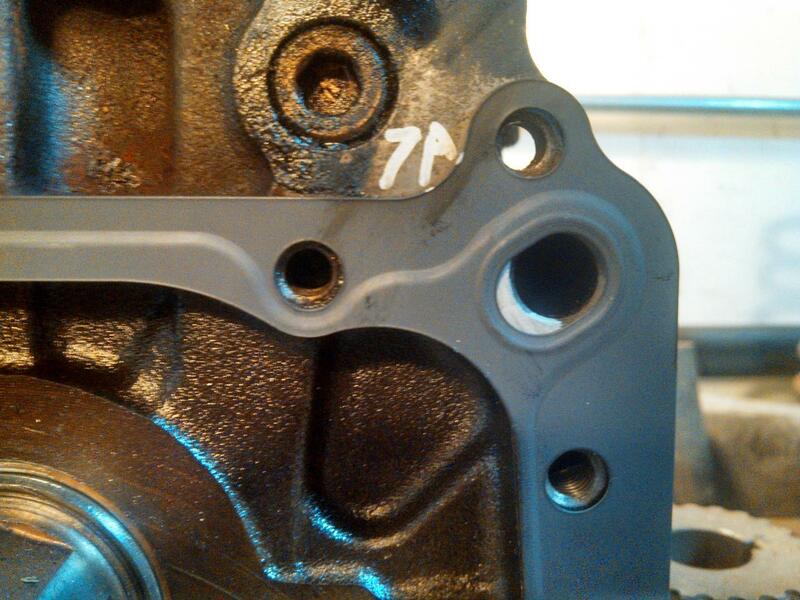 Fortunately Aisin and Toyota oil pump gaskets are cut oval to work with either but some other gaskets are not. If you use a 7A pump on a 4A block or vice versa the port on the block and the port on the pump will not line up perfectly. They are close enough that they should flow just fine with no issues but on a high performance build or for anyone who wants an optimized build you will want to gasket match port the pump and the block. Here you can see a comparison of the 7A block and the 4A block. 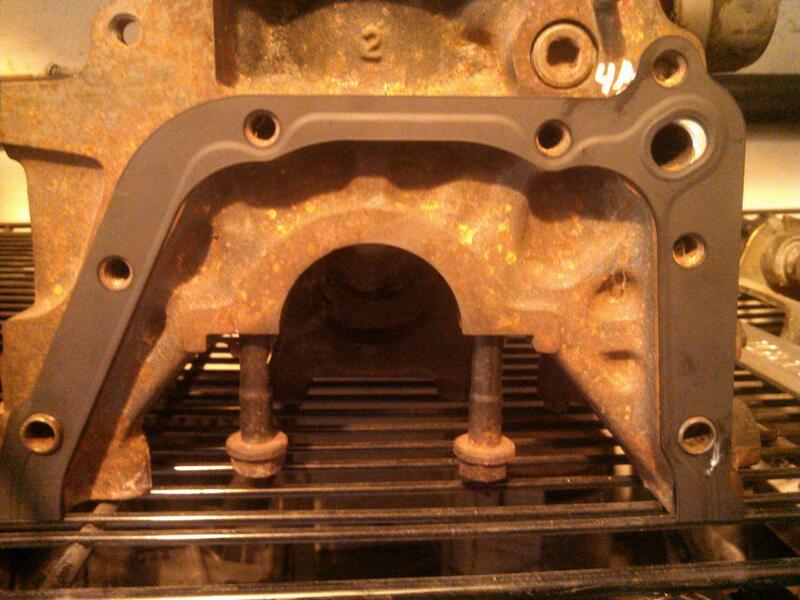 You can see the ports sit on the oposite side of the oval in the Aisin gasket. 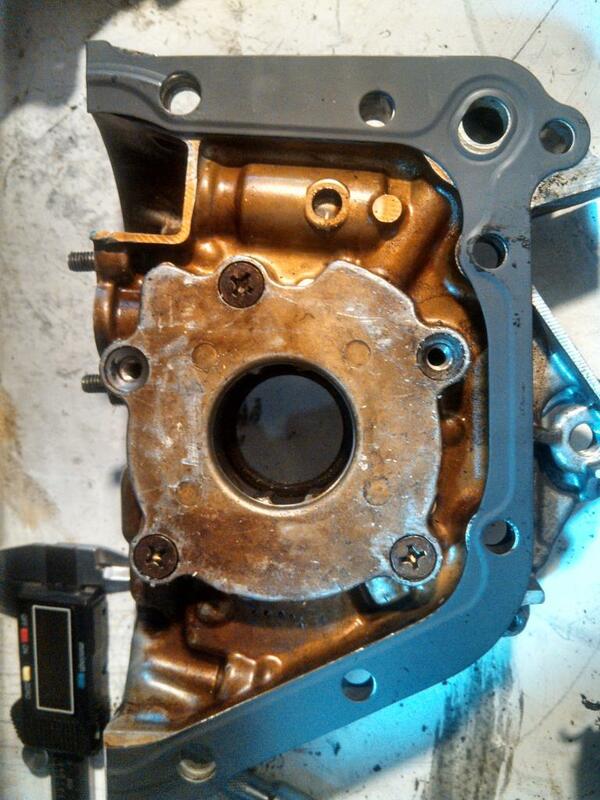 To fix this simply gasket match port the block and the oil pump to match the oval gasket. 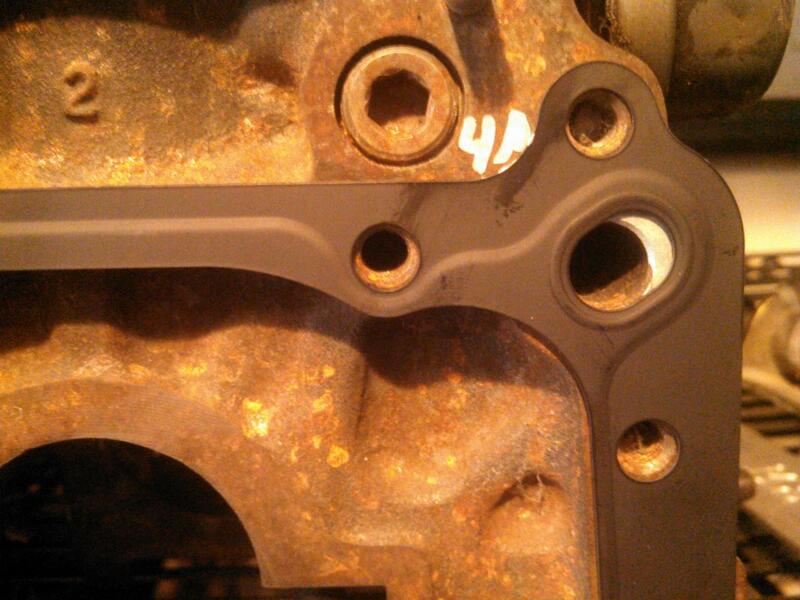 If you have a generic gasket that does not have the oval you will first have to cut it to the shape of the block and pump. There are some other differences between the pumps but more pics and details on that will come later.